The AQ6319 packs the power of cutting-edge technologies with many years of research and experience. It holds the best gratings based monochromator optical performance on the market and provides customers with a user-friendly interface for faster and more accurate measurement. In fact, the AQ6319 raises the standards in the optical testing industry. 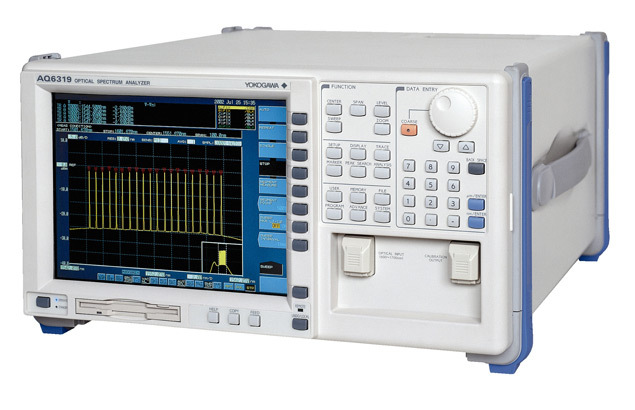 With an unprecedented wavelength accuracy of ±10 pm (1520-1580 nm), the AQ6319 OSA has become an outstanding instrument in both general and specialized R&D labs for high accuracy wavelength measurement. 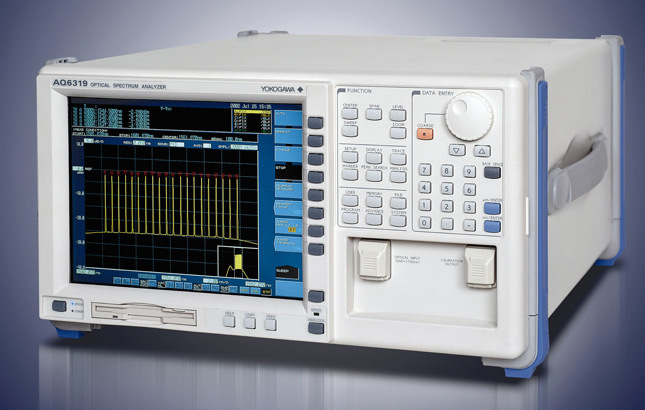 Yokogawa keeps the "free-space" design between the incident beam and the monochrometer; this proven technology which is inherited from the world-renowned AQ6317 series OSAs offers much greater facility for researchers using specialty fibers, especially with large core diameters. The new AQ6319 offers a much faster sweep speed than any other models. It also features a LAN connection for faster and easier data transfer, as well as remote control capabilities. In addition, many new analysis functions have been included. Measurements such as gain of the optical amplifier can proceed accurately because polarization dependency is suppressed as low as ±0.05 dB.